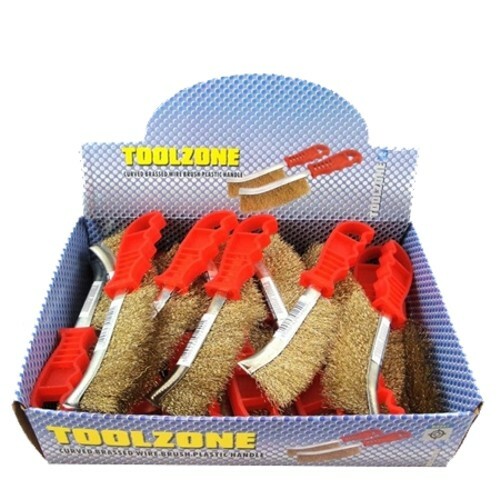 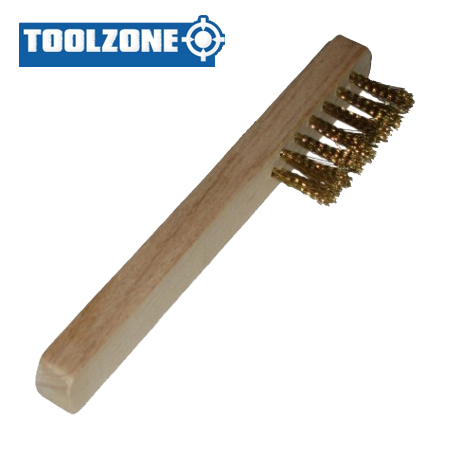 A solid brass wire spark plug brush from Toolzone Tools. 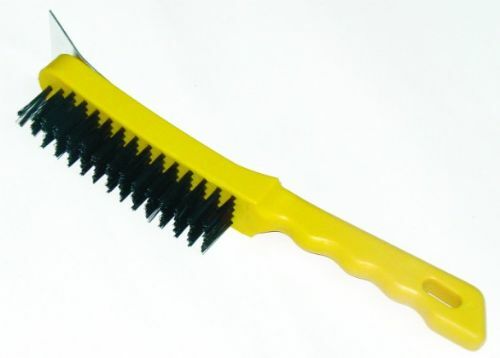 This versatile spark plug brush measures: Handle = 180mm x 20mm (approximately), bristle area = 58mm x 15mm (approximately). 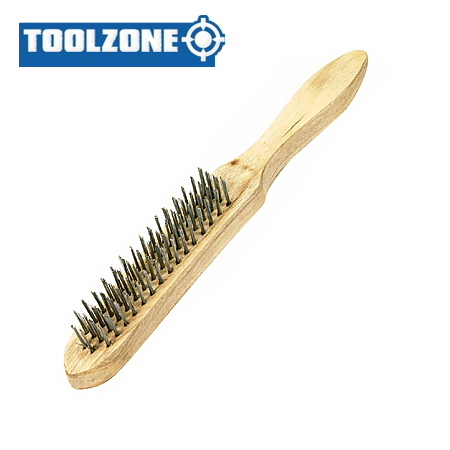 Wooden handle.It is made from durable brass bristles for prolonged usage.